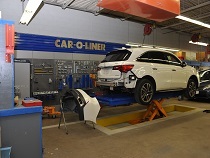 1: Insurance companies with direct repair programs require their contracted shops to meet certain industry standards. These standards may include specific welding, frame straightening and measuring equipment. They also require shops to have minimum insurance requirements and proper training certificates for technicians. Some companies may require advanced training for pollution prevention and worker safety. To be contracted as a direct repair facility, shop requirements exceed many state requirements for standard collision repair licensing. 2: Once you have determined that you need to have repairs completed on your vehicle, you simply call the insurance company and they will do the rest. In some cases, they will have the garage come out and pick up your car, or schedule the appointment for you. This means that you can continue on with your life instead of worrying about getting your car fixed. 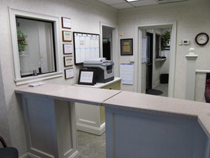 Everything is handled between the repair center and the insurance company to negate any involvement on your part. 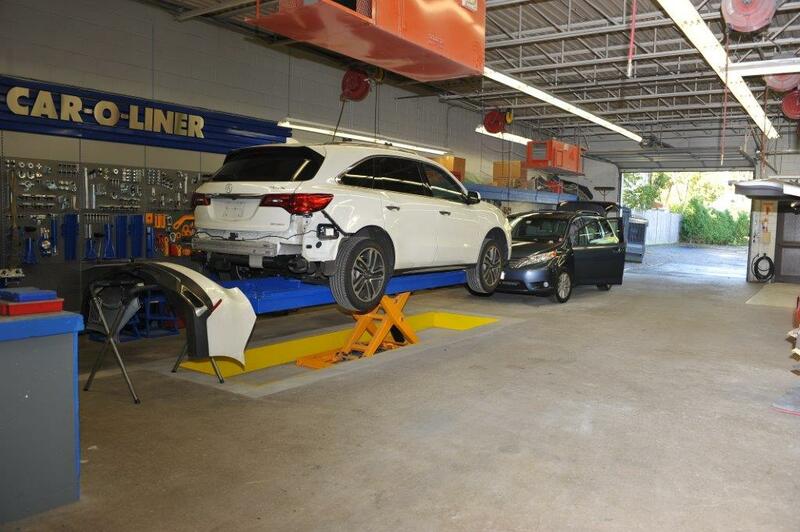 3: Direct Repair Shops work with the insurance company in an expedited manner to get an estimate written, the repairs agreed upon and completed. Typically consumers who use these shops get their vehicles back quicker than when a non-direct shop is used. If a part is needed to fix something that was not in the original estimate, then the repair center may need to stop all work in order for an adjuster to come out to determine if it is justified. When working within the confines of your insurance policy, and a direct repair shop, these changes are done without any delays. The shop can continue to work directly with the insurance company and know what they want. 4: When repairs have been completed, the Direct Repair Shop will provide a written lifetime warranty to the customer. This lifetime warranty is also backed by the insurance company and is effective throughout the country. If a customer moves out of state and a problem exists with the repair, all the customer has to do is call the insurance company and they will guide the vehicle owner to the nearest direct repair shop. 5: The general misconception is that Direct Repair Shops work for the insurance companies by using inferior parts and cost cutting methods. However, they work together, according to state regulations, to provide customers with quality care and service. Most Direct Repair Shops have a higher satisfaction rate for repairs. In addition, the shop is more inclined to work with the customer to do what it takes to make them happy and keep them informed during the repair process. © 2019 Rick's Auto Body | 62 Post Road Warwick, Rhode Island 02888 | Tel: 401-781- 8722 | Fax: 401-781-7760.